POPE FRANCIS flew to the eastern Cuban city of Holguin yesterday to address a large outdoor Catholic mass in the city’s Revolution Square. President Raul Castro was again in the audience, although First Vice-President Miguel Diaz-Canel headed the state delegation to receive the pope. Francis travelled later to the eastern city of Santiago to visit the shrine to the Virgin of Charity of Cobre, seen as Cuba’s patron saint by the Catholic church. 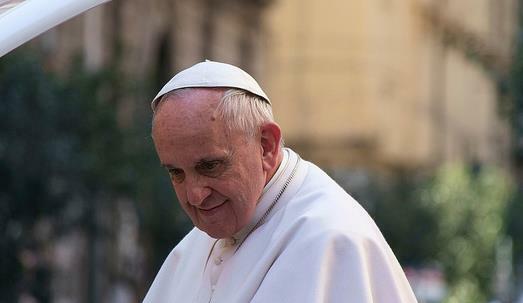 The two men exchanged books and discussed issues facing humanity, including the Pope’s recent letter to senior clergymen on the environment and global capitalism. The encounter was broadcast on Cuban state media showing them shaking hands and chatting. The Pope then held an hour-long meeting with Raul Castro, thanking him for pardoning thousands of petty criminals prior to his arrival. The president presented the pontiff with a huge sculpture of the crucified Christ made of oars by the artist Kcho and a painting of the Virgin of Charity of Cobre. The US suggested at the weekend that it was considering abstaining on the forthcoming annual UN vote to condemn the US blockade against Cuba.